Spread the love (and the word about your business!) 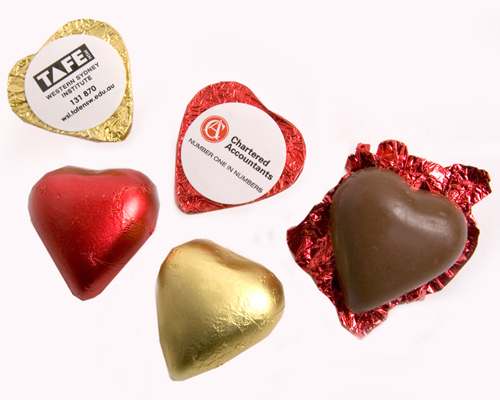 by giving out Foil Wrapped Chocolate Hearts with a full colour sticker. These charming momentos are sure to sweeten any deal.